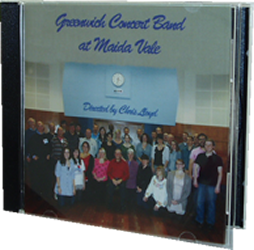 With a current music library of over 800 arrangements, access to external libraries and the regular review and purchase of new material, Greenwich Concert Band can always provide a programme of music to meet any concert requirements. Additionally, Greenwich Concert Band is always willing to work closely with concert organisers in planning and selecting musical content. If you would like to listen to excerpts from our CDs please click on a CD case below to see the tracks and choose the tracks you would like to hear. 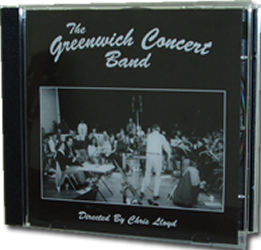 To order a CD please contact us at info@greenwichconcertband.co.uk or telephone 020 8300 8201 or 07714 756367.